Have fun this winter and stay active! For Boys and Girls aged 5-12! All experience levels welcome! Waterloo Region Football have been running a popular 10 week indoor football skills program for the past 4 years. This year we are dividing the program into two separate divisions: JR FUNdamentals Camp for players aged 5-8 and Winter Skills Camp for players aged 9-12. This program is designed with our younger players in mind for ages 5 - 8. 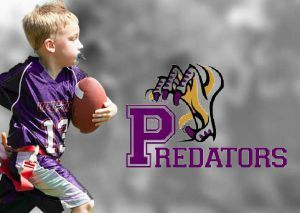 This is 10 weeks of football development that includes mastering Football FUNdamentals, basic body movements, fun offensive and defensive skills and drills. Emphasis on overall development of agility, balance, coordination and speed. Sessions will end with fun pick-up touch football games. Maximum 20 players to ensure more one on one time, and more reps per player. Focus is on developing basic skills in a FUN and SAFE environment. Our winter skills camp is for players aged 9-12 of all experience levels. Players will rotate through stations focused on football fundamentals and will have an opportunity to develop skills in a variety of offensive and defensive positions, along with group work and fun activities. Players will get an opportunity to put their skills in action with some mini touch/flag football games incorporated into some sessions. This camp is ideal for players new to football to gain an understanding of football concepts, as well as those with experience to brush up on their skills.